Its a master piece in its class glorifying your timeless beauty. 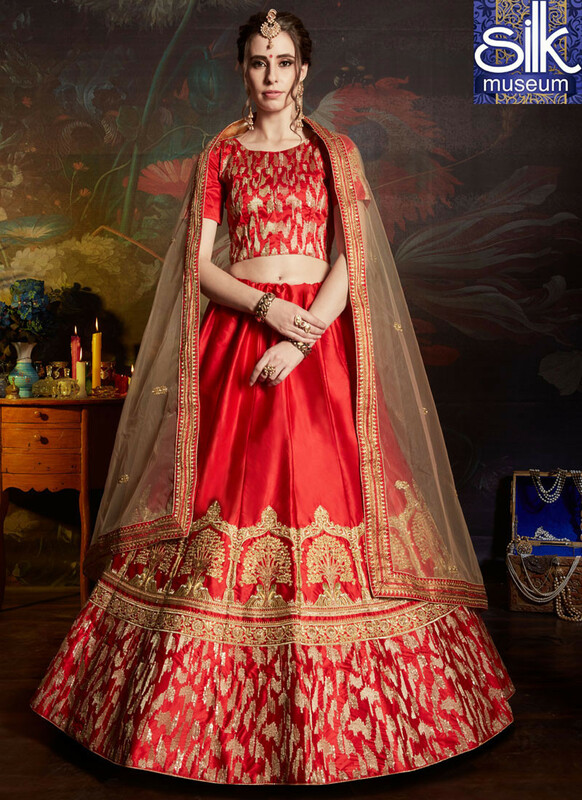 You are sure to make a strong fashion statement with this red satin lehenga choli. The embroidered, lace, resham and zari work looks chic and perfect for any occasion. Comes with matching choli and dupatta.